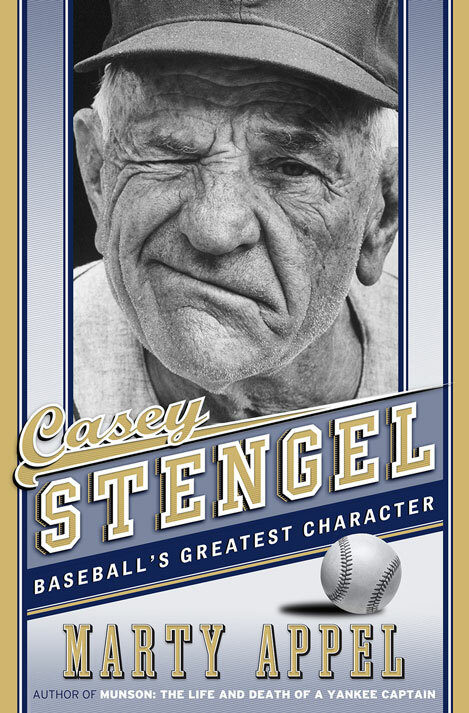 From the New York Times bestselling author of Munson and Pinstripe Empire, Casey Stengel is the definitive biography of baseball’s greatest character. There was nobody like Casey before him, and no one like him since. For more than fifty years, Casey Stengel lived baseball, first as a player (he was the only person in history to play for all the New York teams—the Dodgers, Giants, Yankees, and Mets), and then as a manager (for the Yankees and Mets, among others). He made his biggest mark on the game, revolutionizing the role of manager while winning an astounding ten pennants and seven World Series Championships (including FIVE STRAIGHT!) with the Yankees. Playing with and against a Who’s Who of Cooperstown—Babe Ruth, Christy Mathewson, Ty Cobb—and forming indelible, and sometimes complicated, relationships with Yogi Berra, Joe DiMaggio, Mickey Mantle, and Billy Martin, Casey Stengel was, for an astonishing five decades, the undisputed, hilarious, and beloved face of baseball. For a man who spent so much of his life in the limelight, he still remains an enigma. New York Times bestselling author Marty Appel paints an intimate portrait of a private man who was larger than life and remains the embodiment of the national pastime. MARTY APPEL was the youngest PR director in baseball history when George Steinbrenner elevated him to the New York Yankees post in 1973. He worked for the team for ten seasons, beginning in 1968, and followed it by producing its games on WPIX television. He is the author of twenty-three books, including the New York Times bestselling Munson: The Life and Death of a Yankee Captain and Pinstripe Empire: The New York Yankees from Before the Babe to After the Boss. He resides in New York City.